RUSH: One of the things we were talking about on the golf course yesterday… A lot of the guys in the group happen to watch Homeland, and it is a… I can’t… I hate saying this. It bothers me because… Well, I know… I know one of the guys that has, at the beginning of the program… I don’t know if he’s still active in it or not. I watched Sunday night’s episode, and I guess I should do a spoiler alert here, because I’m gonna have to divulge something. Anybody in there watching Homeland, you caught up on it yet, this season you watching? This is almost beyond my ability to describe how literally silly this is. 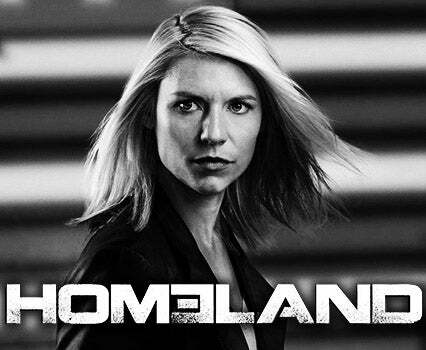 The premise behind this year’s Homeland is that Trump is an autocrat — it’s a female president — autocrat dictator putting political opponents in jail just because they disagree with him, sending the FBI out into areas of the country where hayseed, Southern hicks live and having the FBI mow them down. But the thing that’s driving it is the notion that Trump is illegitimate because the Russians determined the outcome of the election. And the way they presented that in the show on Sunday night was a combination of utter laughter and a deep sadness and disbelief, because it is clear that whoever is writing and producing this show has fallen hook, line, and sinker for this, that the Russians are behind everything. The Russians are able to infiltrate hospitals and take fake photographs and put ’em on social media to create the impression that the FBI and the government did not try to save the life of a kid shot by the FBI. They’ve got an extreme wacko, conspiracy theorist TV host who is anti the president, who’s holed up with your typical Confederate flag still in the backyard drinking moonshine, hayseed hicks. They are protecting him from the FBI and the government. They want to round up this extremist talk show host. The president wants this talk show brought to justice, has dispatched the national security adviser to this hayseed community to go get the talk show host. He takes with him the FBI — well, the FBI’s already there — with Humvees, full military regalia and warfare material. And to cut to the chase, there is a firefight and an accident takes place, and one of the hayseed hicks’ kids is shot. So the security director calls for a truce to send in a medical team to get the kid out to the hospital. The hayseed hicks don’t trust ’em, so the kid’s bleeding out in the house, they don’t believe the FBI actually wants to save his life, but common sense prevails, they get the kid to hospital, and there is a guy at the hospital who just happens to play a Russian spy on the TV show The Americans. He plays an employee at the Russian embassy. His name is Costa Ronin, I think is his name. He is portraying a Russian agent who gets into the hospital where they’re trying to save the life of the kid. He takes a picture. He’s able to get in by sneaking into a doctor’s office and putting on the blue robes and making himself look like a doctor, nobody stops him. He’s able to go everywhere he wants to go in the hospital. He’s able to sneak into the OR and take a picture of the kid on the table surrounded by doctors and nurses, then doctors the picture so there are no doctors and nurses, puts it up on social media where the main networks get hold of it and the story is the FBI and the president are letting the kid bleed out and die. This causes the hayseed, hick family to start shooting at the FBI. The FBI levels the House, machine gun fire, the Humvees, anti-tank missile. They burn the place to the ground. The whole thing just blows to smithereens. And then in this episode, the national security director goes to a Russian defector living in Wyoming to discuss how the Russians did this and how the Russians made it happen. It’s mind boggling. The people that are producing this show literally believe this garbage, that the Russians actually stole the election, that Trump is a Russian agent and wants to jail his political opponents who simply disagree with him. Oh. The president’s chief of staff raised a hundred thousand dollars to murder an Army general who had been convicted of something but was not given a life sentence. The president wanted the guy dead, so the chief of staff raised a hundred thousand dollars and bought off a guard in the prison to kill the general. And that’s what one of the characters in Homeland is running down. But using the actor that plays a Russian spy on the TV show The Americans to infiltrate the hospital to take a picture of the kid — and the kid, by the way, is saved, he does not die, everything’s fine, everybody does what they’re supposed to do, they save the kid’s life, but this Russian is able to use social media and a doctored photo to convince the nation that the FBI let the kid die and didn’t even try to save him, which drives his family back in hayseed, hickville crazy, where they shoot an FBI agent they’re holding prisoner in the forehead. “No, I think it’s true.” They draw similarities to other things the Russians have done in other countries. It’s embarrassing. You know, the liberals ruin everything they touch? They ruin everything they touch. In time, they’re gonna destroy everything they touch. RUSH: Oh, by the way, I am so relieved. I have just been informed that my buddy Howard Gordon has nothing to do with this season of Homeland. I have been reserved in commenting on this, ’cause Howard Gordon… He was one of the producers of 24. Not one of the creators, but he was right there at the beginning of 24, and I got to know him very well. He is a heck of a nice guy, and I have been really uncomfortable being critical of Homeland because his name’s on the show as an executive producer, and he was (in the early days) the creative force behind it. And then you realize that half of our country is insane, that 40% of our country is literally marbles, that they have been hijacked. Their lives have been hijacked by a corrupt media and a corrupt Democrat Party, which has been feeding them a bunch of BS in concentrated form for the last 2-1/2 years that many of them have bought and are swallowing each day. And it is ruining them! It’s poisoning them! They’re incapable of happiness. They’re incapable of knowing what’s true and what’s false. They’re incapable of seeing the truth when it’s right in front of them, and they’re incapable of knowing when something is blatantly false.